Planes, trains and cars beguile many kids in their early years, but many parents know their youngsters are equally fascinated by dinosaurs! The Boardwalk has amused children with its plane, train and car rides for decades and our Cave Train ride has been the home of playful dinos since its inception. But there was a time when we investigated using life-sized dinosaurs to spike interest in visiting our amusement park. Intrigued? Read on to see how it happened! In the early 1990s, family fun centers were all the rage in amusement circles. The Boardwalk's renovation of the old plunge building into Neptune's Kingdom was a step in that direction in 1991. By May 1992, Boardwalk staff began proposing new year-round uses for its sizable main arcade. We kicked around creative concepts like Monterey Bay Sanctuary themed spaces, a German-style beer hall, the addition of a ride – even a merry-go-round, new virtual reality amusements, additional food service support space, a wine tasting location, and a kiddie crawl space. We had all sorts of ideas, but nothing clicked. We were envisioning new ways to make our amusement park more than just a seasonal destination. Then in early 1993, the curator and president of the Santa Cruz Natural History Museum approached the Seaside Company with a wild idea. The museum wanted to host a fundraising activity at the Boardwalk. This was not something new to us, many non-profit groups had done this and still do to this day. But these folks were thinking of something more than just an event. It was a life-sized dinosaur exhibit – including some dinos that moved while making impressive sounds. This was really an "out-of-the-box" concept for us to contemplate. There was one appropriate space for these life-sized beasts at the beach - the Casino Arcade, but only if most of its games and amusements were cleared out. It had to be in the off-season for sure. So, when the Boardwalk was invited to co-sponsor the dinosaur exhibit, we listened. The Natural History Museum wanted to enlarge its local visibility, develop stronger relations with area schools and businesses, and grow its membership. Before approaching the Boardwalk, museum staff had connected with Dinamation, Inc of Irvine, CA, who owned a dinosaur exhibit. Their ancient creatures came to life in an animatronic way, but somewhat less than the scale of Disney. Dinamation had previously staged its display at Yale University’s Peabody Museum of Natural History. That museum’s attendance had doubled during the exhibit’s run. One Peabody official acknowledged it drew around 10,000 school children and added a good number of new members to New Haven’s Natural History Association. For all its success, however, the east coast attraction lost money. Since the Boardwalk had been delighting young people for generations, our local museum staff felt confident our venue would be perfect to ensure ample attendance. Since we were already brainstorming new concepts for our arcade space, we concluded a dinosaur exhibit might just work. In April 1993, the decision was made to join with the Natural History Museum to bring dinosaurs to the Boardwalk. We believed it would draw more winter activity to the beachfront and would also allow us to view arcade space in a new light. Seaside Company Marketing VP Marq Lipton declared, "Dinosaurs will be a hot item this year!" He negotiated an agreement by the middle of July, one month following the release of the blockbuster movie "Jurassic Park." The museum took charge of publicity and staffing the show. The Boardwalk provided the cleared space, coordinated the exhibit’s installation and removal, and operated a Dinosaur Gift Store. All was much easier said than done. Both Arcade Technician Supervisor Brian Gustavson (who was then an arcade technician) and Boardwalk Director of Sales Chuck Ryder (who was then the arcade director) still remember all the challenges that came their way. In early October, 200 of the arcade’s money-making machines were moved off-site. This proved no small feat. Most of the floor area was opened for the exhibit, but we left room for a few arcade pieces. Doors to the Casino Arcade were removed to allow for the neck-to-tail access of 15-behemoth creatures who arrived on October 7, 1993. Boardwalk maintenance staff drilled holes in the arcade floor for compressed air lines to actuate dinosaur movements. Natural history museum staff then guided the black-draped exhibit into its final form. Inside the arcade, Marini’s readied its taffy machine for winter candy lovers. The Seaside Company’s arcade gift area was converted to an "all-things-dinosaur store." We planned for spectators to exit the exhibit right at the store to benefit from the immediate appeal of a dinosaur souvenir. Outside, the city re-scheduled its Beach Street beautification project to avoid having the public step through a muddy construction zone outside the Casino building. Boardwalk publicist Ann Parker was quoted in the local press, "We removed hundreds of arcade machines, which are guaranteed money-makers. Who knew what would happen? But our focus was not on the money – though we had hoped to make a nice amount. We wanted to try something different and work with an organization like the museum...."
A celebratory VIP Dino Beach Ball reception the evening of October 15, 1993 inaugurated the exhibit. Then on October 16, the 100-day educational experience opened to the public. Santa Cruz downtown merchants helped draw attention to the museum’s efforts. Barney and T-rex characters roamed Pacific Avenue during opening weekend’s Dino Daze Sidewalk Sale. Free Dino-Fact-Cards were handed out to young up-and-coming paleontologists. Museum staff developed a 24-page newspaper insert to inform public and spectators all about dinosaurs and the exhibit. Each of the 15-displayed creatures was described in detail. A few beasts moved and blinked eyes, to young people’s amazement. Background sounds added more realism to several displays. Many creatures were static. Kids especially marveled at full-scale replicas of a perching Pteranodon, a slashing Deinonychus, a half-grown and hatching baby Parasaurolophus, a half-grown, and baby Apatosaurus, a robotic Dimetrodon, a bobbing-head Dilophososaurus, a Velociraptor and Pachycephalosaurus, a Stegosaurus, Allosaurus, and Triceratops. Surprisingly, some kids already knew the name of their favorite "osaurus." Many also gravitated to the hands-on "grab-a-fossil" display, dismayed the artifacts could not be taken home. In all, they learned a whole lot – or a whole lot more - about their favorite creatures. Fantasy became a reality for many. Sadly though, by the time the exhibit ended its run on January 23, 1994, only about 45,000 people had attended, far short of the 80,000 that history museum staff predicted. This included approximately 10,000 school children. Several groups experienced the exhibit during private events. I once heard it said that experience is what you get when you don’t get what you want. Despite the widespread publicity and the "can’t miss" appeal of life-sized robotic dinosaurs, the attraction lost money, just like its New Haven counterpart. The Boardwalk chalked it up as a lesson learned in space planning. The Natural History Museum reportedly grew by 140 new members. It was made financially whole by individual donor contributions. The Casino arcade game equipment was returned and space was reorganized. No trace of dinosaur tracks remains to this day – except in the Boardwalk’s archives. Undaunted, Seaside Company staff continued developing plans for the arcade space. 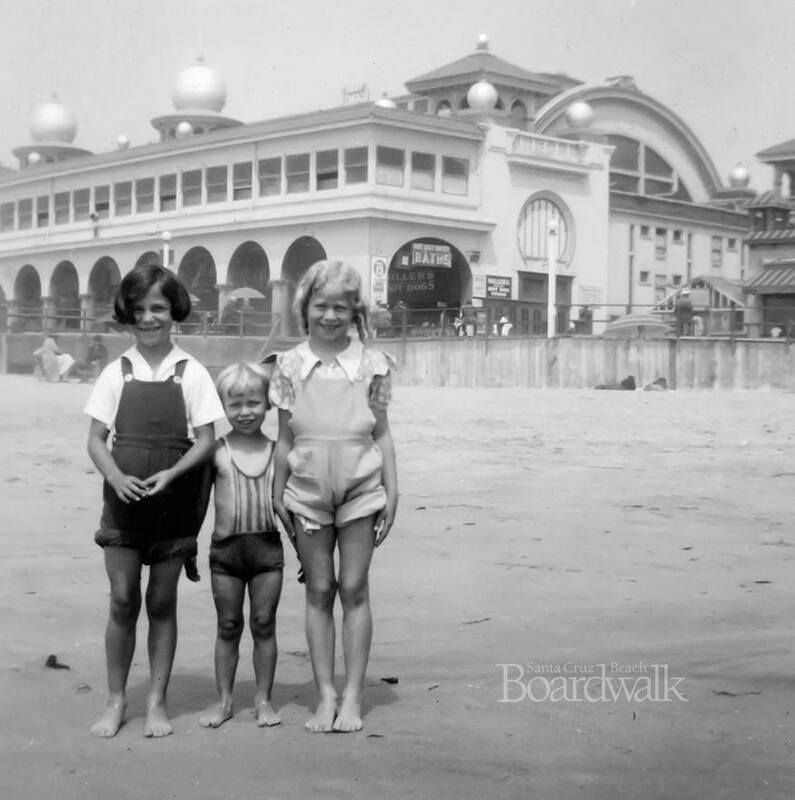 A year later the Boardwalk introduced its "Supercade." Guests began experiencing the growing popularity of Laser Tag and innovative virtual reality gaming. A party room, Galaxian 3-D simulator with its 15-ft full screen, the Astro Canyon Virtual Coaster attraction, and a 4-player Daytona interactive speedway game filled out space. Traditional arcade machines were still to be found, too. Today, Boardwalk arcades offer the latest interactive games and experiences, proving that at the Boardwalk present-day fascinations appeal more to our guests than ancient ones. We’ll leave our dinosaurs in the Cave Train, though. Got any memories of the dinosaur exhibit you care to share? Were you one of those wide-eyed kids that walked through? Got any pictures you are willing to share?